Q. Why are my teeth sensitive? A. Sensitive teeth often come from the fact that your gums have slightly receded. This recession of the gum line allows the underlying dentin to show through which allows water and food easier access to the sensitive nerve. To manage this, there are a number of toothpastes, gels and even some dental procedures that can be applied. Speak to us in more detail if you have very sensitive teeth. Q. What should I do to prevent gum disease and tooth decay? A. Great teeth and gum care start at home. Brushing and flossing on a daily basis is the best way to take care of your teeth and gums on a continual basis. By keeping to a daily routine you will greatly minimize the risk of gingivitis or tooth decay as you age. A. Gingivitis is a condition caused when bacteria surrounds the teeth and enters the gums. The gums can become irritated, inflamed and often bleed. In order to prevent the condition from worsening, regular hygiene visits are highly recommended. During your visit, our Hygiene team will teach you the proper flossing techniques and Oral Hygiene protocol for Home Care will prevent the Periodontal Disease. Q. What is Periodontal Disease? Q. 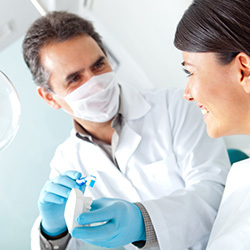 How Do You Treat Periodontal Disease? A. Periodontal Disease is a chronic condition that needs immediate attention. Through a series of Periodontal Cleanings, Root Planing & Scaling, Laser Therapy and Local Antibiotics, this condition can be controlled. Periodontal Surgery is only necessary for severe cases. Q. What is the Difference Between a White Filling and a Silver Filling? A. Silver Fillings known as Amalgam have been around for decades. Made from a metal alloy, it was the best restoration for fillings. The metal expands and contracts with the heat and cold placed in the mouth. This allowed for little bacteria to enter a tooth once filled; keeping the tooth healthy and strong. Q. How Can I Improve My Smile? Q. What is Tooth Whitening? A. Tooth Whitening is a cost effective and safe procedure to create a beautiful, healthy smile. Over the years, flouride is has been added to the whitening product. This reduces the risk of tooth and gum sensitivity. A. Bonding is a cost effective procedure used to fill gaps in front teeth and to change a tooth’s color. The immediate results are amazing. Within a few hours, you will have a great smile! Bonding like Tooth Whitening may change color over time due to coffee, tea, cola and wine. Q. What are Porcelain Veneers? A. Porcelain Veneers are thin pieces of porcelain that go directly on your natural teeth. . This entire procedure can take as few as two visits. Veneers change the size, shape and color of a patient’s teeth. This procedure is used to repair fractured teeth, teeth darkened by age or medication, or a crooked smile. Many times, patients ask for Porcelain Veneers to simply feel and look younger with a straighter, whiter smile! A. Crowns are a permanent cosmetic procedure that covers the entire tooth. It will change the size, shape and color of the teeth in as few as 2 visits. A. A Dental Implant is a “man-made” replacement for a missing tooth or tooth root. Made from titanium, this screw-like object is inserted under the gum and directly into the upper or lower jaw bone. There is usually minimal discomfort involved with this procedure. After a period of a few months, the Dental Implant and the bone fuse together. This creates an anchor for the new tooth to be placed onto the dental implant. Q. What are the Benefits of Dental Implants? Q. Who is a candidate for Dental Implants? A. With major advancements in Dentistry and Dental Implants, most people are candidates for Dental Implants. There may be exceptions due to chronic illness, heart disease, and severe osteoporosis. Q. 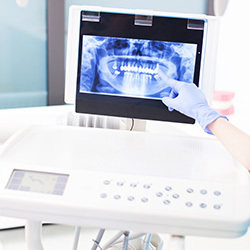 What does the Dental Implant Procedure Involve? A. The average Dental Implant Procedure takes 3 – 4 visits. The first visit is to x-ray the area and take an impression for a surgical guide and a temporary prosthesis to cover the Implant. Q. How Much Does a Dental Implant Cost? A. 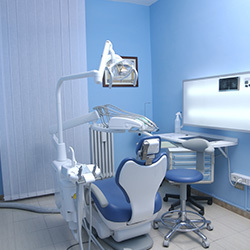 Fees from Dental Implants vary from dentist to dentist. Always schedule an Implant Consultation to discuss the procedure and all fees involved. Q. How long does a Dental Implant last? A.With routine dental hygiene scheduled and proper home care, A Dental Implant can last approximately 30 years to a lifetime. Q. Does your office offer financing for services provided? A. Please contact us to discuss the options we have available to make your perfect smile today!